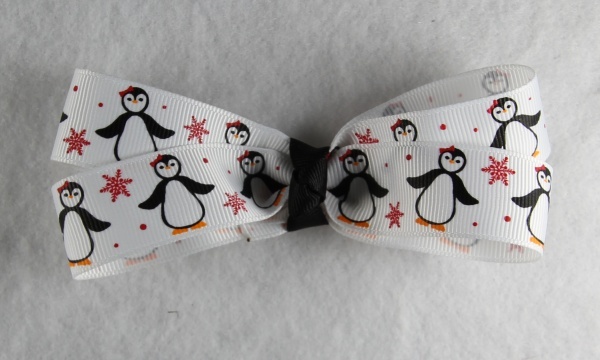 Dancing Penguins and red stars line this white grosgrain ribbon. This is a great Christmas Holiday bow to show the spirit of Winter. 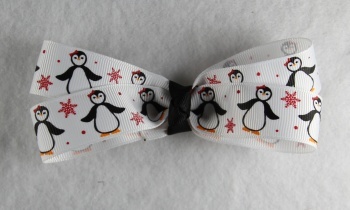 The center of the bow is wrapped with a black grosgrain ribbon and it is attached to a lined grosgrain ribbon. Dance your Winter through with these Penguins.